IT consultancy Coeus Consulting’s latest research reveals that, although the fate of many organisations depends on their ability to implement strategic change and adopt disruptive technologies, a reported lack of business and IT alignment, coupled with a corporate fear of risk, means that they risk losing out on crucial revenues and market share. 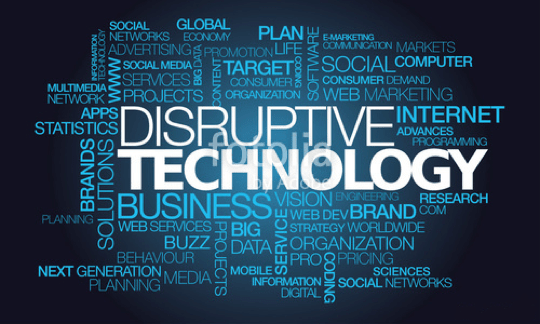 Just 21% of those professionals surveyed stated they seek to implement new technology as soon as possible, with some of the main barriers to adoption being fear of disruption to the core business (30%), lack of budget to adopt new technology (21%) and poorly planned adoption strategies (19%). According to Thomas, consumer demand for new and improved offerings, paired with the demand for digitalisation from the business, means that organisations not only need to increase the speed at which they’re doing things, but must also match or stay ahead of the offerings from disruptive and agile competitors. 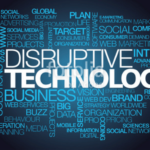 Seeking to discover how organisations view the next wave of disruptive technology, almost a third (29%) of respondents believe Artificial Intelligence represents the most significant innovation set to impact their industry in the next two years, with data and analytics (18%) next in line. Despite their predictions on the next generation of technology, only 38% of respondents say they operate with dedicated teams monitoring the latest advancements. This suggests that 60% of organisations could be operating with little knowledge of innovations taking place outside their four walls. Despite the current economic climate, funding seems to be a secondary issue. Last year’s research found that just over six-in-ten (62%) of respondents predicted an increase in the size of their budget for the coming year. In actual fact, only 50% of respondents from the survey this year reported an increase. However, just over 50% of respondents reported that digital services are being funded from the IT budget in their company, with additional funding also allocated from elsewhere. Indeed, approaching six-in-ten (57%) are anticipating an increase in their budget for the financial year 2019-2020. This indicates that business leaders appreciate the need for IT in their current and future operations to the point of allocating funding, but not always to the point of consistently aligning with their IT counterparts. Increasing operational efficiency (49%), customer satisfaction (32%) and increasing revenues/sales (31%) top the list of drivers of strategic IT change projects, in turn demonstrating that expectations around the business value of IT change are not being effectively driven. Businesses need to recognise the consequences that slowing IT spend – and, ultimately, stagnating progress – could have on their business prospects. Taking unnecessary risks could lead to the downfall of an organisation. In reality, though, spending on technology and taking a ‘fail-fast’ and calculated approach to IT risk is now a necessity.